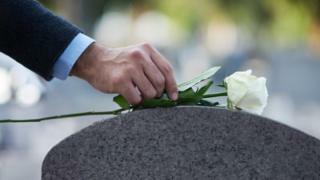 A funeral plan sales scam has been targeting people in south west Scotland. Police in Dumfries and Galloway said that hoax callers had claimed to represent the local council. PC Clark Logie said that although the cover story might change, the intent was to get bank details or payment for a service which would not be delivered. He advised the public not to deal with cold callers and to contact reputable firms if they required a product. "Never give out personal or banking details to cold callers, irrespective of how they contact you, whether they attend at your door, contact you by telephone or by email," he added.